Associate Professor Antoine Hermens is the Head of the Management Discipline Group at the UTS Business School. His career at UTS demonstrates his commitment to innovation, focus on high quality education and outcomes. Antoine was awarded a UTS Teaching and Leaning citation in 2010. Antoine proactively engages in building strong institutional relations with business and stakeholders’ communities in line with the mission of the University. Antoine has significant senior management experience both in academe and industry and is a key member of various industry and academic networks. Antoine has extensive experience as advisor, researcher and consultant; his focus is on strategic analyses, dynamic capabilities and business modelling. Antoine regularly consults and advises to international and national organisations on turnaround strategies, restructuring, strategy planning, alliance formation, mergers and acquisitions and demergers. As an academic researcher his particular interests are in shaping strategies, strategic alliances, and additive manufacturing / digital technologies. 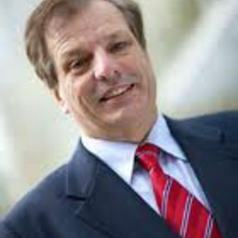 As an international visiting professor Antoine presents courses and regularly interacts with academics and administrators in New York, Ottawa, Paris, Toulouse, Reims, and Hong Kong from leading AACSB accredited business schools and consequently he also has considerable understanding of international policy and best practice in business education.